Follow seven engaging habits of all effective networkers. No matter what hospitality field a person chooses, networking becomes a vital aspect of his or her career because it opens up the doors to more opportunities and more money–both of which are vital in this economy. Although a person may be good at marketing themselves or a company, he or she may not be taking full advantage of his or her opportunities because of an unawareness that every habit they display is important when it comes to networking. Not knowing the key traits of the most effective networking techniques can lead to missed chances for career advancement, particularly in the hospitality industry. In fact, according to the U.S. Bureau of Labor Statistics, the hospitality industry has added 390,000 jobs over the past 12 months; therefore, networking is more vital than ever to make the most of a hospitality career. By adopting seven key habits of all super networkers, hospitality workers will be well on their way to becoming more effective networkers. Those who are most successful when it comes to networking are the ones with a positive attitude. People don't like to do business, and in some cases, even associate with someone who is negative and very pessimistic. This is mainly because a negative disposition can impact how a person works. Unlike people with a negative disposition, successful networkers radiate positivity and this ultimately contributes to their determination, internal motivation, and their drive for career success. With their positive outlook, they act like magnets and compel people to want to associate and cooperate with them. This results in forming more engaging networking relationships. 2. Never misses an opportunity. A super networker never misses an opportunity to network. Even when he or she is under the weather, marketing is still important. He or she may go out of his or her way to network, but in the end, this drive is what makes for a successful hospitality career. Even going to the grocery store can be a time to network and those who are best at it are well aware of this. Based on the U.S. Bureau of Labor Statistics' data, with 321,400 jobs in food service management in 2012, it's not in anyone's benefit to miss out on a prime opportunity to market themselves. It's not uncommon nowadays to go out of the way for someone to send a thank you note or some form of acknowledgement. People today really take notice of those who are gracious and who realize that a person's time is valuable. By showing gratitude and basic courtesy, super networkers cultivate relationships which can lead to an increased number of referrals. This trait also allows them to stand out from the crowd and make themselves more memorable, thereby advancing their career advancement opportunities. 4. Good observational and listening skills. Those who work magic at networking listen to others and know what's going on around them. Rather than steering the entire focus of a conversation on his or herself, someone who excels at networking will ask questions and will be attentive to that person’s needs. By showing an active interest in others, especially to their needs, a person can better market his or herself, due to a genuine concern for others. Not only that, an individual who is insincere and doesn't give his or her undivided attention during a meeting can really turn off prospective opportunities. Being caught in one small lie may break a person when it comes to marketing and can ruin their credibility. 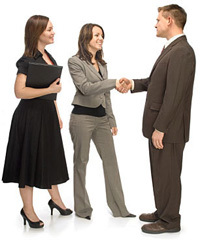 Once a person has been thought of as untrustworthy, people no longer want to pass on the person's name as a referral. According Ashland University's article titled Hospitality: Hot or Not?, the U.S. Bureau of Labor Statistics noted that "12.4 million people are currently employed in the hospitality field." The industry is predicted to grow 17 percent through the end of 2014. Hospitality is a broad field that includes work in different areas including restaurant, hotels, casinos, and even tourism. The growing industry will need workers to fill these positions. For this reason, it's vital for someone to network him or herself, so that he or she can be a big part of these potential hospitality careers. Plus, enthusiasm will be a top characteristic that others would like to see. Knowing the traits of those who are most successful at networking just might be key to becoming more successful at networking or even at becoming a super networker. Overall, being positive and enthusiastic leads to hospitality job advancement. And when combined with other factors like being trustworthy, a person may convert his or her so-so marketing skills into super networking skills.